Want to carry around your artwork? 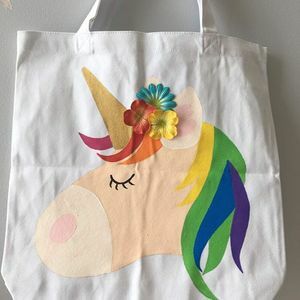 Join us for this cute unicorn face tote bag painting. When the painting is done the art assistant will help the kiddos hot glue their selected silk flowers to add a little dimension to this fun tote. 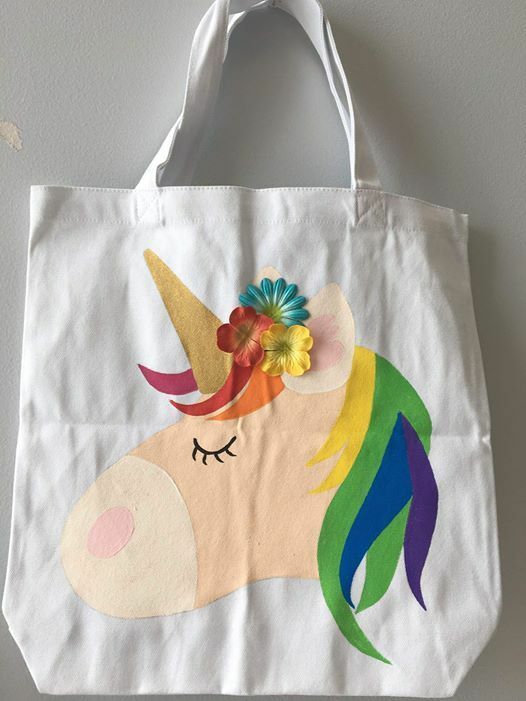 Each person will get a a 14x14 white canvas tote bag with the pre-sketched unicorn to paint. Instructional assistance provided, but no step-by-step painting instruction is given, each individual paints at their own pace.